When did the Penguin Plunge begin? 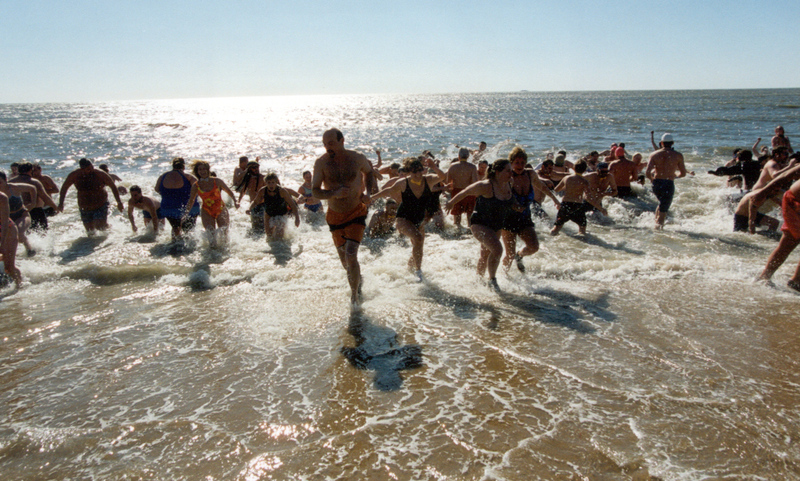 Our first plunge was in 1990 in Madison, Connecticut. There were only 30 plungers and we raised $5,000. 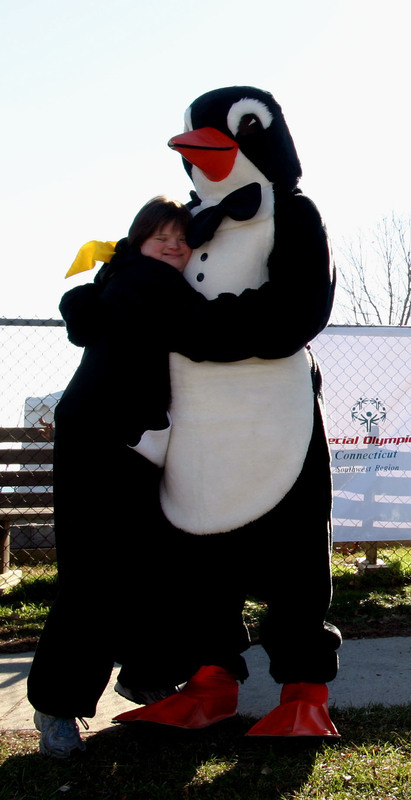 Over the years, the Penguin Plunge has raised over $650,000 for SOCT. In 2003, over 1,000 Penguins participated in six (6) statewide Penguin Plunges, ranging in age from 8 to 70 from various groups and organizations across the state. There is a minimum donation of $100.00 to plunge. Fundraising incentive prizes begin at $500 donation to Special Olympics Connecticut. The more you raise, the better the incentive prize! We have full EMS crews, ambulances, search and rescue dive teams on site during the event. Members from area and state police dive teams enter the water at Plunge time to make sure everyone stays safe. What if I'm cold or get cold easily? There are tents and enclosed buildings to go in if you feel a chill, as well as plenty of Hot Chocolate and Coffee. Don't worry, the water is only about 36 degrees anyway! Participants must be at least 8 years old in order to take the plunge. I'm bringing my family and friends to watch me plunge. Where can I park? Bring you family, friends and co-workers and anyone who wants to see just how crazy you really are! If you're not plunging, just come out and watch all the frigid fun! There will be plenty of parking for everyone. Where can I change before & after the plunge? There will be male and female changing rooms/tents are available to change into your clothes before and after the plunge. I can't collect all my pledges before the plunge, what do I do? We can only register you for the amount of donations you collect, prior to the plunge. Checks are ok and should be made out to Special Olympics Connecticut or SOCT. Do I have to Plunge or can I help out in other ways? Our Plunge is highly successful due to both the large number of plungers and our great volunteers. If you simply want to volunteer your time to help out, please complete our Volunteer Sign-Up Form. What should I wear when I plunge? Penguins wear only their bathing suits and a bow-tie (will be provided), but if you are still too cold, you can wear a t-shirt or a pair of sweatpants, over your suit. The more clothes you wear in the water, the colder you are when you come out. WEAR SHOES!! Your feet are the first to get cold, and will keep you cold. What if a group of us want to Plunge? We'd love to have you! In fact, we have awards for different categories of Penguins in Groups. The emperor Club Award goes to the group or organization who raises the most money. The Rockin' School House Award goes to any school team or club who raises the most money. And finally, the Arctic Hero Award goes to the largest amount of money raised by a Public Safety Department. The more creative, the better! The Rockhopper Award goes to the most creatively dressed. So remember . . .the ocean's the limit! !